Do you need a chimney repair on your Seattle-area home? Call the local chimney company with over 35 years of experience. Since 1978, The Chimney Specialists, Inc. has been providing full service chimney repair to homes in Tacoma, Seattle and the Eastside, from Bellevue to Auburn. From chimney cap installation to chimney crown repair to replacing liners to tuckpointing, our technicians are skilled at all chimney and fireplace repairs. Most chimney issues are caused by moisture and weatherization over time. When a chimney or crown becomes water logged, freezing temperatures expand the water and cause freeze thaw and this damages the mortar and concrete. Preventative maintenance is the key here. Fixing existing damage and water sealing the chimney with a quality product will ensure water doesn’t penetrate the exterior and gives your chimney years of life. Jud, our lead estimator and graduate of Eastern Washington University has been writing bids and serving our customers for over 16 years. Since the cost of your repair depends on the service needed, we offer free estimates for those in the Tacoma-Seattle area (unless it’s for the sale of a home). Contact us to schedule an appointment for Jud to come out to discuss your fireplace and chimney needs; he’ll happily answer all your questions. No matter what type of fireplace or chimney you have, our experienced technicians can service and repair them all, including masonry or factory-built fireplaces, gas fireplaces or pellet/wood stoves. If there has been earthquake damage or a chimney fire at your residence, our skilled technicians also specialize in repairing your chimney up to code. All parts of your chimney get worn over time so replacement is common in both masonry and factory-built fireplaces. Whether you need installation of a chase cover or replacement of a refractory panel, we offer a wide variety of quality chimney products. Our technicians will install the new part so you can safely enjoy your fireplace again. We take pride in every service we provide which is why we have a 1-year workmanship guarantee on all our services. Plus, our stainless steel caps carry a lifetime manufacturer’s warranty and any chimney weatherized with ChimneySaver comes a 10-year manufacturer’s warranty. Repointed chimney, repaired chimney crown, installed liner in 1 flue for furnace vent. The Chimney Specialists were outstanding to work with. They communicated clearly and did exactly what the bid on. Clean-up was outstanding and they left my 93-year-old chimney as good as new. 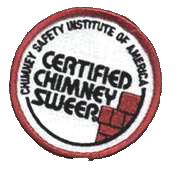 Chimney liners (sometimes called flue liners) are typically clay, metal or stainless steel liners installed in masonry chimneys to protect the chimney walls from heat and corrosion. A liner also helps send any combustible particles to the outside atmosphere. New liners are necessary when either the chimney is unlined or the liner has cracked or is damaged. Chimney caps are an important part of any chimney system as they protect it from outside elements such as rain, snow, animals or downdraft issues. Without this protection, an open chimney can allow large amounts of water or critters to invade, which invites big problems. A chase cover fits over the top outside edge of your chase or brick chimney (somewhat like a shoe box top) and keeps out rain, snow, critters and everything else. Refractory panels direct a fire’s heat towards the fireplace’s mouth, which keeps the firebox’s temperature at a safe level. Over time, the constantly changing temperature inside the fireplace compromises the integrity of the panel and eventually it will start to crack. Once cracks appear, it’s time to replace the panel. Your top-mount damper helps to regulate the flow of air inside your chimney system. If your damper is not opening or closing properly, this can cause the major drafting issues you may be experiencing.